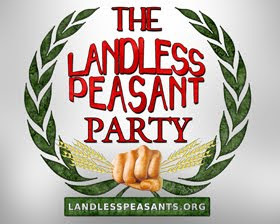 God bless the Landless Peasant Party. And God save Angus X, wherever he might be after his unfortunate loss in the British national elections this spring. 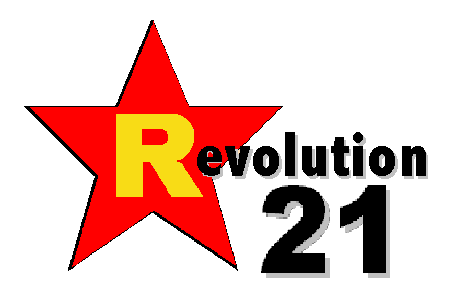 An old friend was musing about the present doings of Land Is Power -- the party annual meeting is coming up Saturday at an Edinburgh cafe -- so I wandered over to the website of Angus X and the landless peasants . . . and found an amazing video. No, really. That's it above -- The Story of Stuff. Please watch it. WHEN I was watching this amazing presentation by Annie Leonard, I thought "This is pure Catholic social-justice kind of stuff here. I'll bet Glenn Beck hates it." And sure enough. . . .
Gosh, I feel so dumb now. The conservative ubercapitalists quickly reassured me by saying market efficiency and ongoing miniaturization will solve many of the problems of the sustainability and disposal of our abundant stuff. Besides, we have a whole planet to be mined. We've barely scratched the surface. Why, if we mine deep enough -- through the earth's crust and well into the mantle, which we could do as technology advances -- we could have all the raw materials we need to make more and more stuff. Deep extraction, that's the ticket. What could go wrong with that? Like I said, The Story of Stuff is pretty standard Catholic social teaching. Don't believe me, look it up. This little fact -- in addition to making Glenn Beck even crazier than usual -- also is likely to dismay one of the film's producers, the Tides Foundation, which believes we can best care for the poor and powerless of the world by helping them abort their poor and powerless offspring. Sigh . . . in a fallen world, nobody bats 1.000. Well, at least fetuses are biodegradable, right? WE NOW return you to Angus X, who remains not safe for work . . . or the kids. But kind of spot on, nevertheless. Labels: Britain, capitalism, Catholicism, culture, economy, election, environment, false gods, Glenn Beck, GOP, media, politics, social justice, U.K.